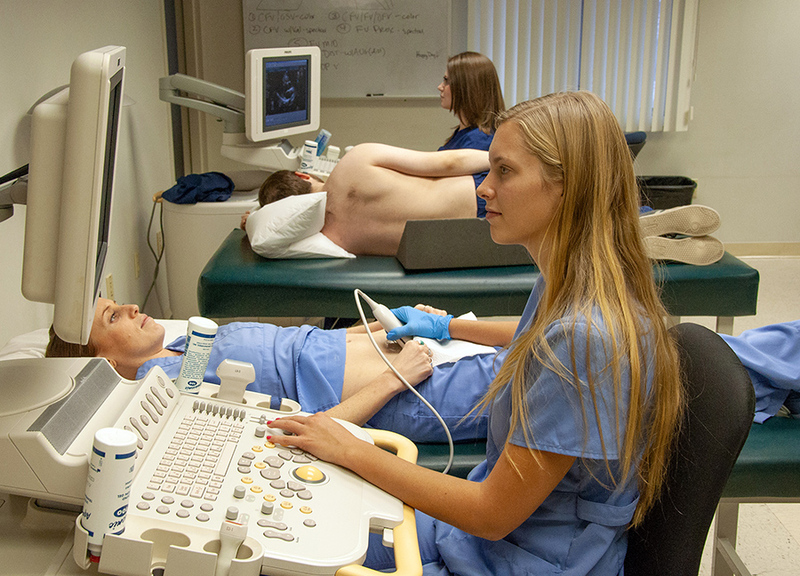 STATE COLLEGE — December is a busy time for South Hills School of Business & Technology's third-year Diagnostic Medical Sonography (DMS) students as they prepare to begin their clinical internships in January. The 5-day week is crammed full of instructions on institutional policies, HIPAA compliance, clinical procedures, and internship documentation. “This is what the students have been working toward since their first day in the program,” said Tricia Turner, DMS Program Director. ”They have passed all their written exams and scanning competency assessments, and will now have the opportunity to use their knowledge and skills in a real patient care setting." Graduates of the DMS program earn an Associate Degree in Specialized Technology (AST) after three years of study divided into nine terms. The last two terms of the program include 870 hours of clinical internship. These internships typically start at the beginning of January and continue through the second week of June. Students are evaluated at their internship sites by clinical staff and by South Hills faculty. During the internship, students return to the school for one day every 3-4 weeks. Typically on a Friday, these all-day sessions include clinical case presentations which the students create and present to their classmates and faculty. South Hills has contractual agreements for clinical internships at hospitals and healthcare facilities over a large geographical area. “The majority of our internships are located in the Northeast; however, we also have affiliates in Virginia, Illinois, Tennessee, and Florida,” said Ms. Turner.